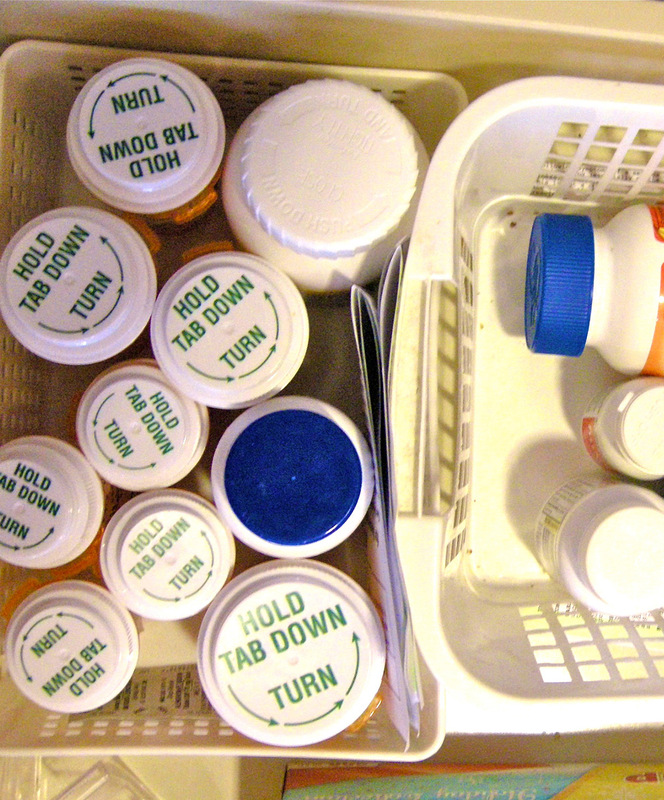 To Help You Take Prescription Medications Correctly. 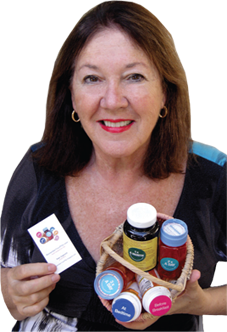 I’m Dian Vujovich, creator of RememberYourPills™. 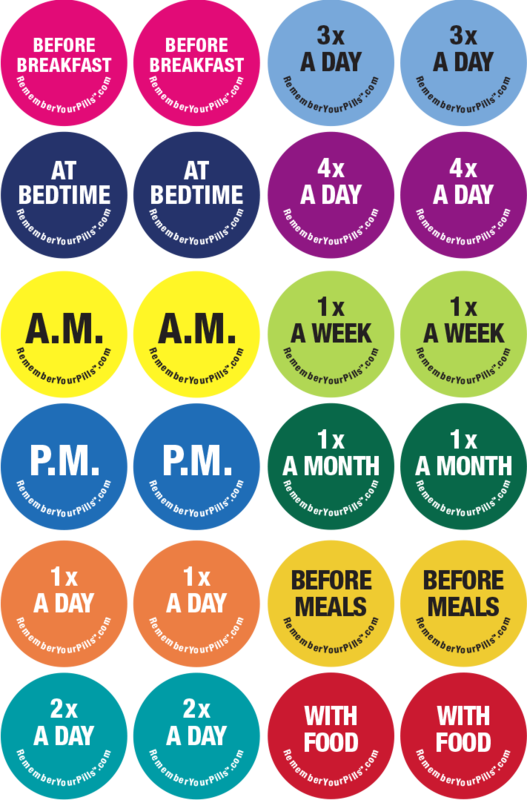 Originally I developed these multi-colored medi-stickers for myself because I was having a hard time knowing exactly when to take the prescription drugs I needed to take each day. And guess what? They helped me! Now I place RememberYourPills™ stickers on all prescription drug containers I get from the pharmacy - even my vitamin bottles. These stickers help me every day and they may help you, too. Find instructions about how often the pill is to be taken. 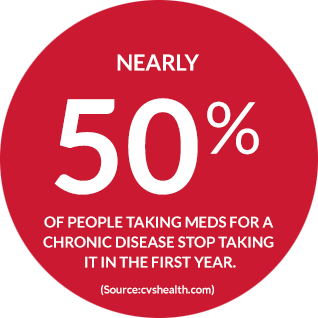 If you have trouble finding that information, ask for help or call your pharmacist for assistance. 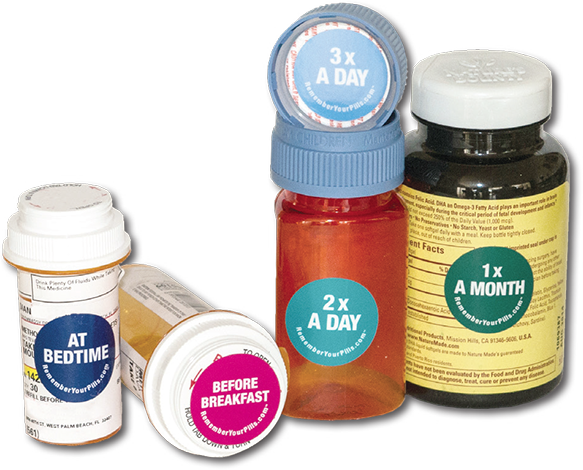 Choose the colored sticker that matches the instructions of your pill container. Place sticker where you'll be able to see and read it best. DISCLAIMER: The company and its associates, including the product manufacturer, are not responsible for any errors relating to the misuse or misplacement of the RememberYourPills™ color-coded medi-stickers. 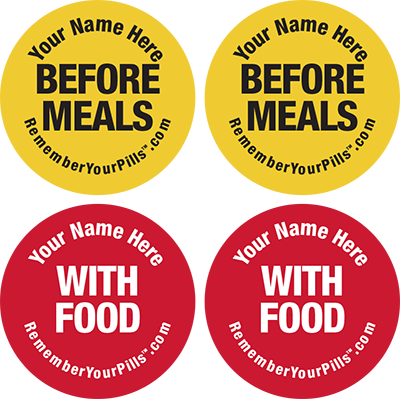 RememberYourPills™ stickers are a perfect health care aid for groups, organizations, pharmacies, etc, as either health-related handouts, or for sale in stores and pharmacies. Customizing the stickers with your name, company name or logo and individualizing the insert sheet is also available. 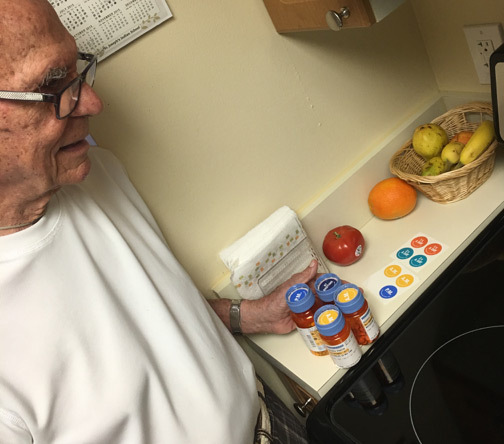 To learn more about RememberYourPills™ color-coded medi-stickers pricing, coming products, advertising opportunities or simply to have questions answered, please . 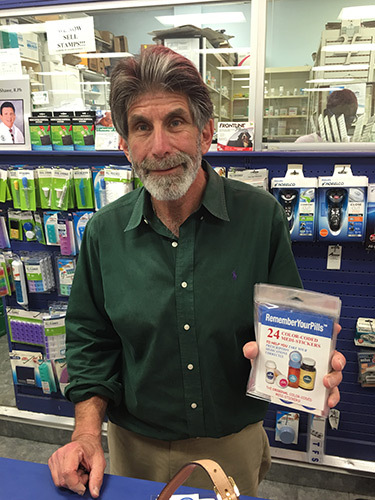 Green's Pharmacy of Palm Beach (151 North County Road, Palm Beach, Florida) and Lewis Pharmacy (235 S. County Road, Palm Beach) carry RememberYourPills™ stickers for only $2.99 per pack. Stop by next time you are in town! Everybody Has A System. What’s Yours? Geddas uses RememberYourPills™ stickers every day. And, he eats right, too. 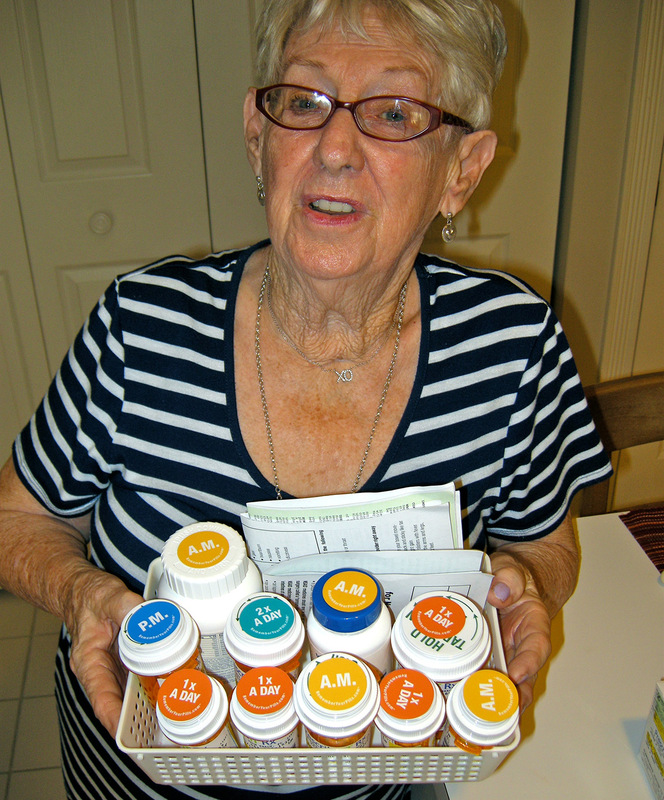 Margaret went from a basket filled with meds, the tops of which all looked pretty much the same, to using the color-coded RememberYourPills™ stickers. © 2015—Present, RememberYourPills™. All Rights Reserved. Made in the USA. 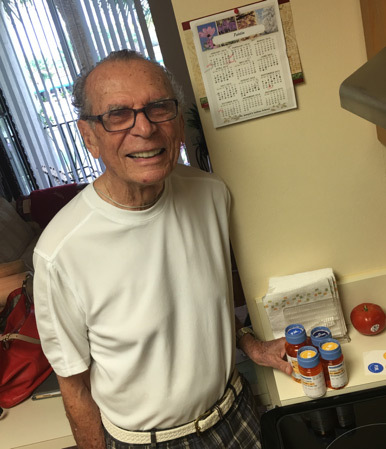 Packaged by Palm Beach Habilitation Center.